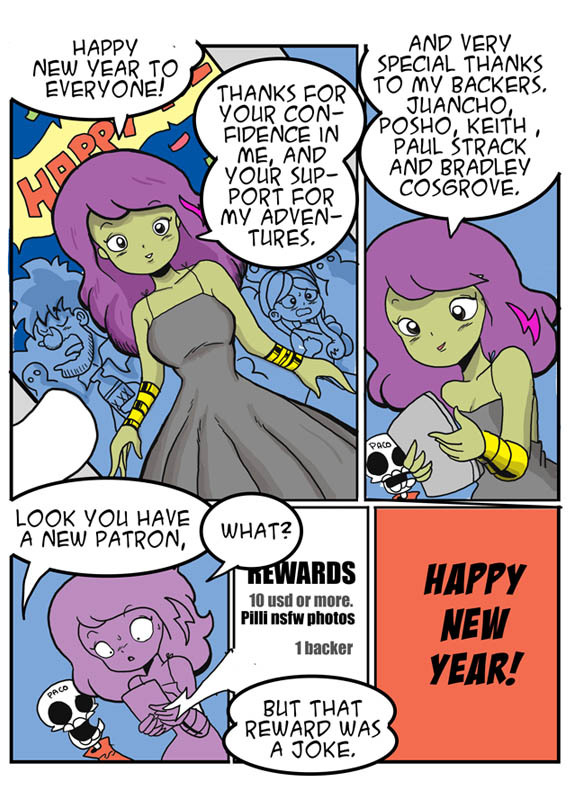 Pilli Adventure » Archive » Happy New Year! This entry was posted on Monday, January 1st, 2018 at 4:22 am and is filed under Uncategorized. You can follow any responses to this entry through the RSS 2.0 feed. You can leave a response, or trackback from your own site. What? Yes! All of my ten dollars! Tavo is an evil, evil man. There is no such reward, which would have been enough reason for me to support through Patreon again. Oh well – if like me you have problems with Patreon, don’t forget he still has the PayPay donate button!